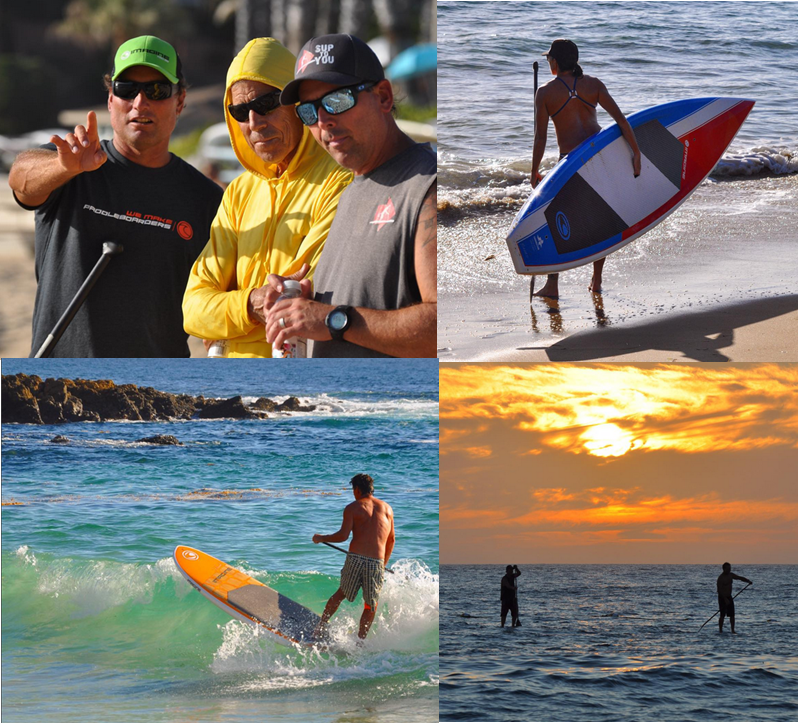 Sup To You is a dedicated full service mobile SUP outfitter serving Laguna Beach and the greater Orange County areas. We are enthusiastic about getting you the perfect stand up paddle board! Laguna Beach has some of the most amazing coastal touring on the planet! North Laguna is the best place to launch, there is easy access to the water. And there are great areas like Diver’s Cove and Fisherman’s Cove where the waves break onto a reef for easy launching. You’ll end up paddling with dolphins and seeing all kinds of amazing sea life. Laguna Beach paddle boarding at sunset is awesome! Go pull off a sunset paddle; it is a life changer where you will hear the Heavens sing! Parking can be tricky so just figure it is easiest in the early mornings or late afternoons. At SUP to You, we have the ultimate SUP rental offerings for you where you have the freedom to enjoy the boards as long as you want! We charge a flat fee and you call the shots. Plan your day and tell us when and where to drop off your boards and when and where to pick them up later. NO Hourly Limitations or Fees! We cater to the elite paddler as well as first timers and everyone in between. The best part is that our paddle board rentals consist of premium quality paddle boards which are lighter, with better glide which will perform really well for you. Less hassle all the way around. We want you to have a great time out on the water! If paddle boarding is something you might want to get into, rent a board from us and give paddle boarding a try. We have quality paddle boards that offer a much better experience than the typical sup rentals around. We are glad to give you a few pointers to get started and you're on your way to the best adventure in Orange County! PADDLE BOARD RENTALS DELIVERED FREE! We carry all the Stand Up Paddle Board Gear you will need to get out on the water for a great time. Especially: The latest greatest premium SUP Boards and Sup Paddles. Paddle Board Brands we specialize in are: JP Australia, Quatro, Surftech, Bark, NSP FCS and Futures as well as Kialoa and Werner paddles. We carry all the Paddle Board Accessories you will want too! Really great SUP Clothing that you will love!! Every week on Saturdays at Baby Beach in Dana Point, we have our sup DEMO DAYS. For qualified participants (serious buyers :-), you can try out different models and styles and compare them to determine which paddleboard is best suited for you. We will have our canopy set up at 9 am with demo boards ready to be test ridden. This is a FREE event, perfect for those who are looking to purchase the perfectly suited stand up paddle board! We offer privately scheduled demos to qualified participants who are ready to buy their ultimate SUP! There is an $80 deposit that goes towards the purchase of your board. If you are serious about buying the best suited real deal SUP, it’s a no brainer. Come on over to the shop, or pick on line to hand select multiple paddleboards to test out. We will meet you at one of our demo locations with all the boards you want to try. WE GET GREAT STAND UP PADDLE BOARD REVIEWS!!! Check them out. See what people are saying about us! "My daughters and I decided to try SUP while on vacation in southern CA. Steve and his team were great! It didn't matter to him that we were from out of town, he made sure we had a memorable experience. After running through the basics of how to SUP we went out in the marina and paddled all over. The best was that we got to paddle among the seals and pelicans! So much fun!!! We will go back for sure on our next trip and if I buy a board I'll go back to Steve to buy it. Great guys - great experience!" Here is a great resource for Laguna Beach local marine conditions updated daily!